For the low, low price of a laundry basket, Rubbermaid tote or similarly sized cardboard box, you too can start a Rube Goldberg-esque Inventor’s Kit for your child. 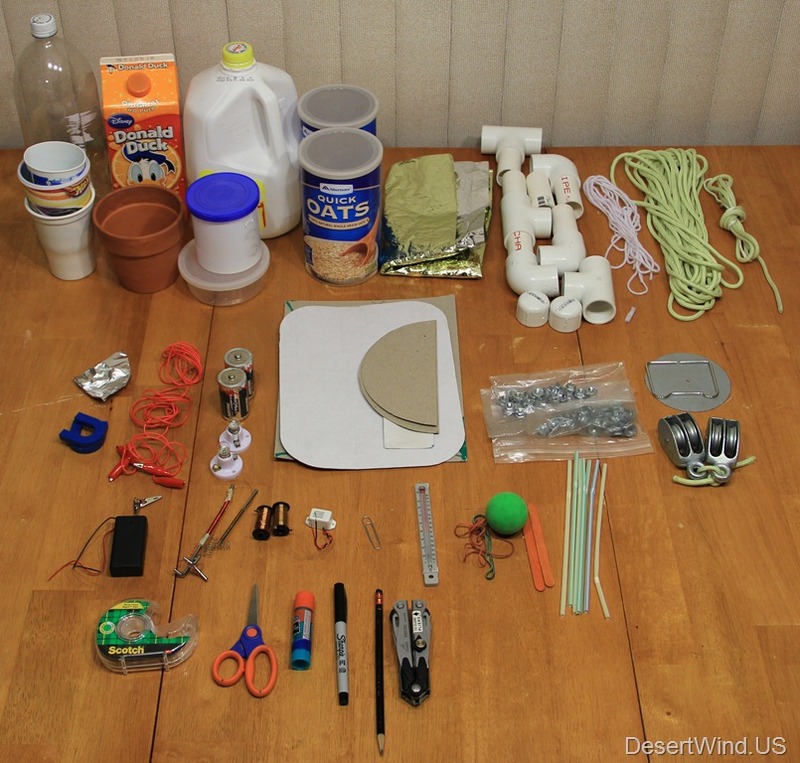 Step 1: Get a laundry basket-sized container. *This harkens back to previous posts where I’ve discussed “knowing your child’s limitations”. You know your child best. I’ve worked with 4th and 5th graders who could easily handle matches and knives with supervision, and I’ve no reason to suspect that mature and supervised kids even younger than this would have any problems with them. Actively supervised children should find it very challenging to burn the house down. If, however, you find that your child is particularly or distressingly gifted in this one respect, please plan (and store) your Inventor’s Kit accordingly. **This ended up at the end of the list, but it really should be at the first. Get goggles, especially if you or your child is planning on whacking, banging on, or hammering anything, mixing chemicals to see what will happen, or cutting/breaking anything like rocks, glass, tile, brick, etc. I’m big on this. I’ve seen the edge of a rock hammer sliver off and fly into a classmate’s eye on a college geology trip. Vision isn’t something to take chances with, especially when you get a pair of safety goggles for $3-$5. Store the small items in some of your glass/clear plastic jars. 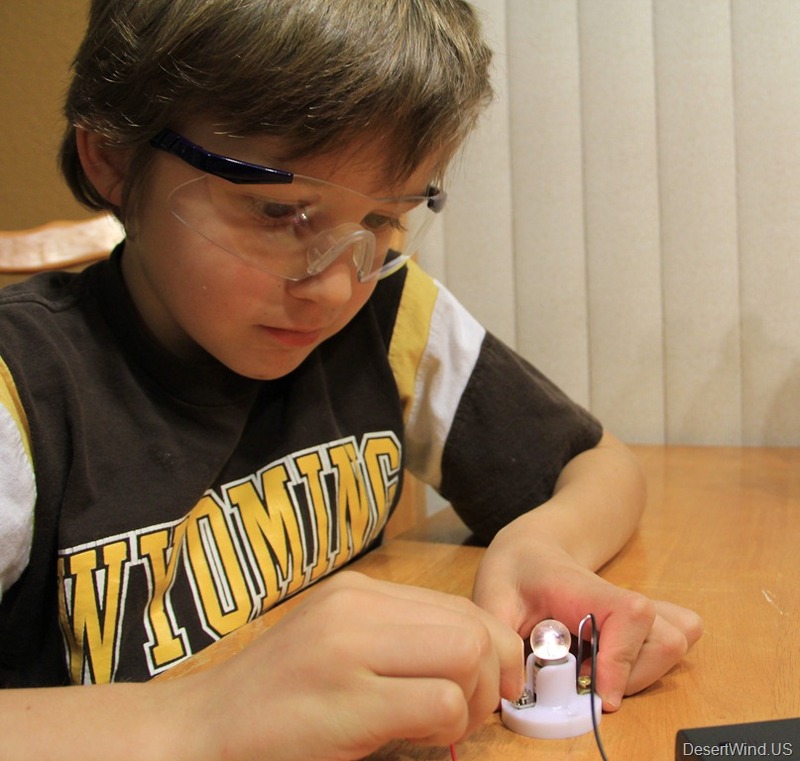 Now you and your child are ready to invent, engineer and experiment. As an added advantage, you’ll now have a wealth of available supplies when you find out that while your offspring’s teacher assigned a science project two months ago, the child in question conveniently “forgot” about it until the night before the due date. If you’re thinking that your child would never do this, well then, just pat yourself on the back and put one of these kits together anyways, because your child’s best friend’s mom is probably headed over to your house to borrow it right now. I’ve purposely left out chemicals, even household ones such as baking soda and vinegar. I think it’s best to keep them stored in their original container, and keep them stored as you would store any potentially harmful product. Coming soon: Experiment ideas using your kit! Comment here with other items you might add to your inventor’s kit! 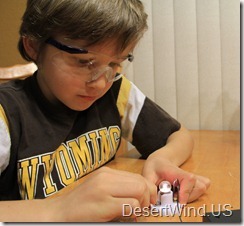 3 Responses to DIY Young Inventor’s Kit! Can I share this with your photo in a round up on Remodelaholic.com? I will include a backlink and credit to you and your blog. Let me know! What a fantastic idea! My daughter would love something like this!